A lot of boat in a small affordable package! I should start off by saying that I really love this boat...and every piece of gear (even that you make) is usually a compromise…and the Heron 9XT is no exception. My complaints aren’t so much about a lack of high-end features as it is low-end features…but let’s start with the things that I really dig about this boat. First…the price…I was working on a very small budget…and did not want to spend a lot of money on a kayak…but still wanted a boat that was capable of soloing trips as long as 10 days or more…so safety (keeping things dry + maneuverability) and comfort (roominess + back-support) were not things I wanted to sacrifice on too much. I got my boat through Cabella’s for 350 (at the time)…but the shipping was freight…so I had to drive about 15 miles to pick it up. 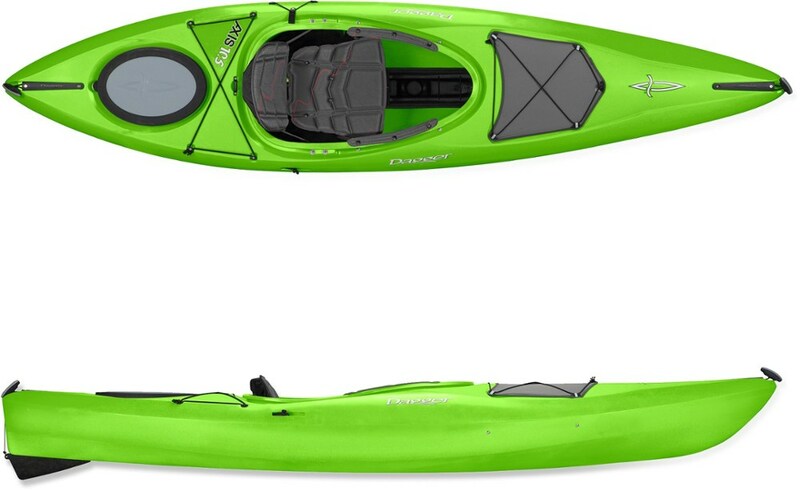 For me the Heron 9XT is the perfect combination of economy and function… and is all you really need for kayaking in all but the most extreme of situations and difficult of rapids (IV – V). 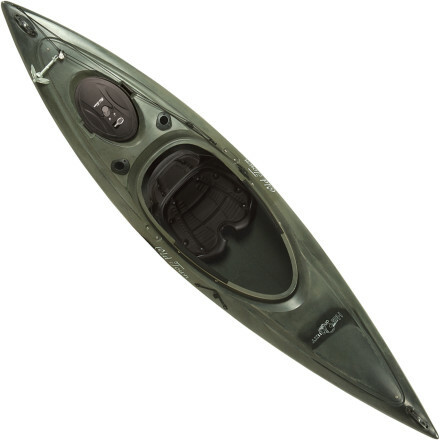 Reading other reviews I think people might be frightened off by the smaller size of the Heron 9XT…but they shouldn’t be…I am 5’10” and built like a wrestler…and this boat fits me comfortably with lots of room to spare. The boat also has a large elongated cockpit…which compromises its performance in terms of keeping you dry…but makes entering and exiting the boat fast and easy. I only have a 31" inseam...so I can only testify to that…but the foot brace system should easily accommodate someone several inches taller. In addition to being a roomy boat that is easy to enter and exit…I also find the basic seat in the Heron 9XT to be both comfortable and versatile. Pulled tight the back of the seat helps support my posture in more challenging water…but when things are calm a looser seat allows me to slump comfortably and float silently down the river. If the stock isn't good enough for your pampered behind…Old Town seats are interchangeable…so it is possible to upgrade to the Old Town Active Comfort Seat (ACS)…a delightfully comfortable seat with added support. Storage on the Heron 9XT is plentiful for a boat this size…the rear hatch does leak (a little bit)...but only if you completely submerge the boat for a lengthy period of time (I have!). In normal usage the water-tight hatch is a great feature to have if you plan to do any multi-day or overnight camping…and one of the primary reasons I chose the Heron 9XT. My best guess is that the rear hatch is somewhere in the neighborhood of 50-60 liters…so it provides ample room for everything I take kayaking. I still use lightweight dry-bags…to help keep things organized and provide additional protection...but the hatch and internal compartment make bulky heavy-gauge dry-bags mostly unnecessary...which means big savings in terms of space and cost. In addition to the water-tight compartment I store a filled water bottle (2-liter Platypus) between the seat and both sides of the boat (the soft bottles conforming to the necessary shape and helping to keep most of the weight in the boat centered). When spoiling myself I also strap a 2-quart “jug” cooler covered in reflective bubble-wrap next to the large dry-box I use to store my rain jacket and swim tights just behind the seat...and there's room to spare. In the front of the boat there is a small amount of space in front of the foot-braces...but I hesitate to put anything there because the space is difficult to access. Instead...I attached about 4.00 worth of shock-cord to a small section on the bow which I use to store my tarp and other clothing when they are wet...or to hold a heavy-gauge dry-bag filled with heavier items (usually food) to help trim the boat when carrying heavier loads. So I’ll end with a few complaints…or perhaps suggestions for a Heron revamp! The cup holders are pitiful…I would prefer nothing at all to the round hole said to be a cup-holder…it offers no adjustability…and the seat is situated in the boat so low (a very good thing) that a bottle of any length always tips forward or sideways and then rolls around in the cockpit. Another suggestion is to make use of the deadspace in the front of the boat just below the deck and between the legs. 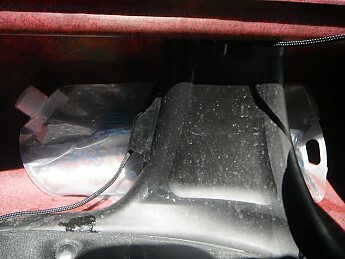 I think this spot is a perfect place for a molded-in compartment that could hold a small dry-box and a drink. It wouldn't need to be anything fancy...just an open space with a place to clip a bottle and dry-box. Finally...what's up with the lack of drain-plug on the Heron 9XT? I don’t understand it at all…because a drain-plug does not seem like something that is particularly difficult or expensive to make…and ensures that water does not pool in areas that are inaccessible before I lift it over my head for transport or storage. I’m not saying that this is a catastrophic failure…it isn’t…and in the bigger picture it does not hinder the overall quality of the boat…but I simply do not understand why Old Town would choose not to install one? 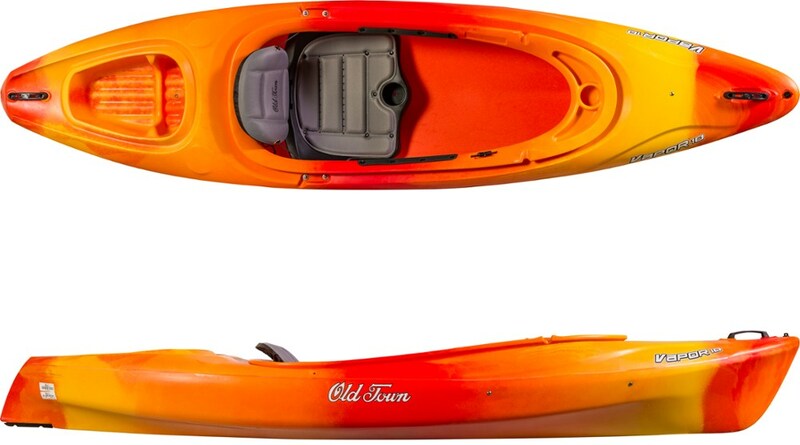 When I kayak…more often than not is on small rivers with rapids as high as class III...or exceedingly long distances by the standards of most (100-300 miles)…so a smaller boat is both more maneuverable and lighter. Of course…a smaller more maneuverable boat typically means that it doesn’t track (go in a straight line) as well…and that it isn't as capable of carrying as much gear and supplies. Both of these are true to a degree with the Heron 9XT...but not as terribly as one might suspect. The hull shape offers improved tracking for such a small boat....and with lightweight backpacking gear I've been able to kayak over 10 days without re-supply. 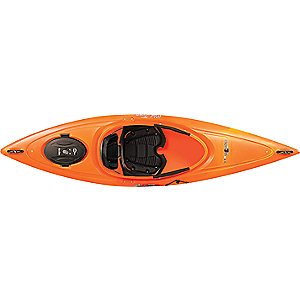 The Heron might not be the boat for people wanting to bring more gear...or who find themselves kayaking big flatwater lakes and rivers...but for the smaller rivers I frequent the Heron 9XT is a very versatile package. 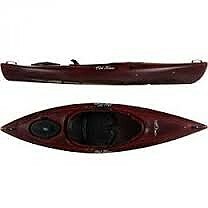 I love this kayak. 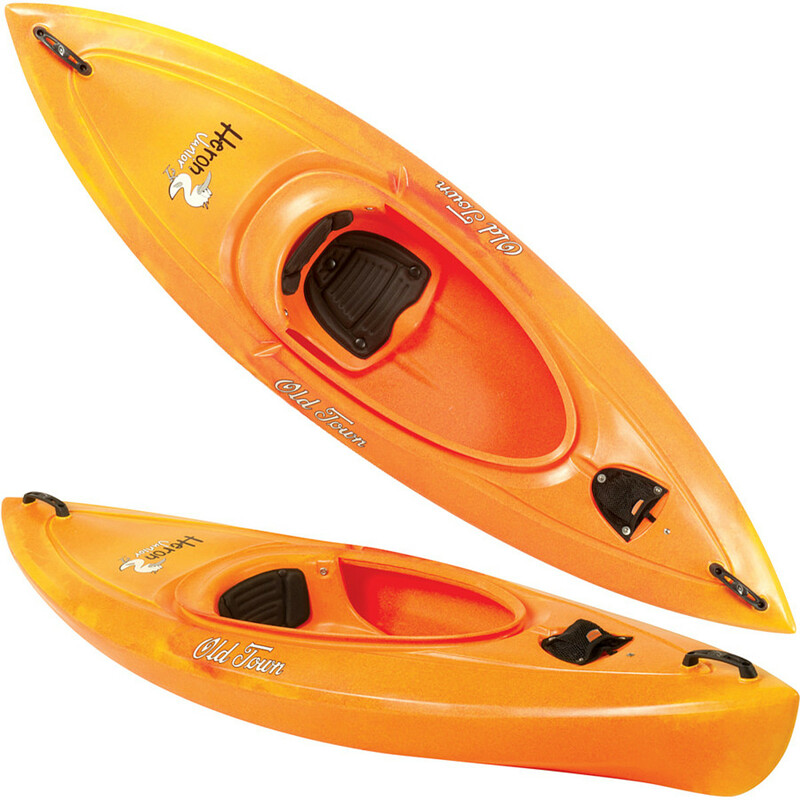 Ideal for small frame adult or young flat-water paddler; it fits in the Dodge mini-van with the hatch closed! Great day tripper or out to the island for an overnight. Hatch hold suprisingly lots of stuff in easy reach. Buy 2, they're cheap. Not for large frame adults or heavy loads. 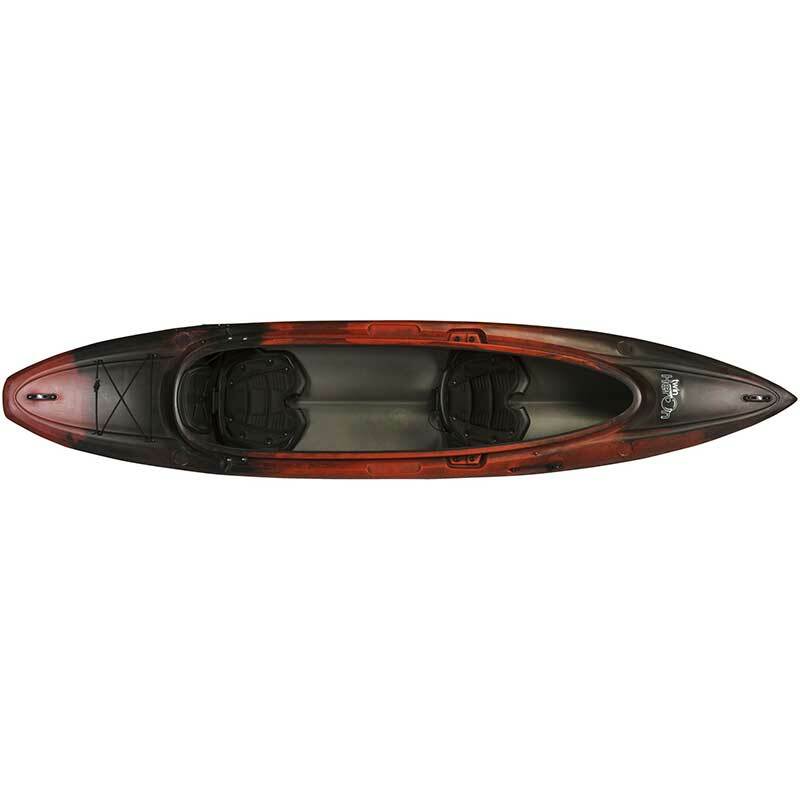 Perfect flat-water kayak; tracks nicely for a short boat and is super easy to control. Lots of recreational paddlers purchase a far more sophisticated boat than they really need, assuming they will graduate to more technical adventures. Maybe they will, but still keep the Heron 9XT, you will be glad you did because it is quality built, comfortable and so easy to load, carry and paddle. Would suggest the Heron 9XT Angler if you like to fish.